Last week, an article of mine was published on TNation, titled, Max Out on Squats Every Day. This article was based on the methods of Olympic Weightlifting coach John Broz, and it caused quite a stir. It even invoked an excellent response from Jim Wendler of Elitefts titled John Broz: A Response. I couldn’t have said it any better. Though Jim summed up my entire thoughts on the matter, I’ll add some comments below. 1) I have spoken to many, many fellow lifters who tell me that they tried daily training and saw the best gains of their lives. 2) We don’t have a good definition of “daily training.” My definition is 5 or more full body workouts per week. 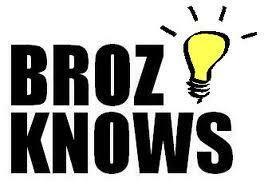 3) Since I met Broz, I’ve realized that he’s right on the money with a lot of his realizations. What you feel is definitely a lie. Max squatting does become a walk in the park. 4) I’ve been conducting 5 full body workouts per week since I met Broz and this system definitely works for me. I’ve found ways to tweak it to suit my individuality. I will have a hard time going back to anything else. 5) I believe that this type of training can be modified to suit everyone; including old and young, beginners and advanced, steroid users and natural lifters, and men and women. 6) I don’t believe that you should attempt daily max squatting with the low bar, wide stance squat that is common practice in powerlifting. 7) I don’t believe that sport athletes should train this way as they need days off to stay fresh. Oly lifters don’t have to worry about maximizing fitness and minimizing fatigue until a competition comes up. Athletes need to do this on a weekly basis, and often several times per week. 8) I recommend you go to John’s Youtube page and check out the videos. You will be impressed. 9) The elephant in the room is anabolic steroid usage. Honestly I didn’t speak to John about this topic. I will say that many of his lifters did not appear to be on AAS (I’ve been around for a while and believe I have a knack for identifying users). There was a female who obviously was not using anything who had been training for 2 months with Broz and was new to lifting. She could already power clean her own bodyweight. I know of coaches who train women for four years and don’t get them power cleaning their own bodyweight. I believe that there would be some differences between how the AAS using lifter and natural lifter approached daily training, but nonetheless I am convinced that Broz is on to something. 10)Don’t knock it if you haven’t tried it. One of my readers emailed me this week with the following observations. His name is Matt Delaney, and though I could probably find ten colleagues to write-up similar articles regarding their experiences with daily training, hopefully this one will allow you to get the gist. As soon as I read Bret’s article I had to contact him. I had similar results as he did after trying the John Broz program and knew he would encounter some resistance from other coaches and trainees that may think this style of training was too much. Almost two years ago I spoke with John because I heard about a gym in Las Vegas that was getting results fast with frequent training and frequent heavy training. I could not believe how frequently John’s guys would lift. Previously I thought any form of “Bulgarian” style training should be taken with a grain of salt due to their frequent association with drugs. John convinced me this style of training would be fine for an athlete like myself who was natural and still had a very low Sinclair compared to those at the World level. My squat with 170 kilos was difficult and I was nowhere near my genetic potential compared to those who are close to World Records and have to be more careful with training intensities. I know this program is not for everyone. There are very few who can back or front squat well and it’s the coach or athletes ability to recognize good technique from poor or dangerous technique. There is very little danger in squatting with heavy weights daily as long as the technique is excellent. Yes some Olympic lifters do develop back problems due to excessive lumbar extension and flexion, mostly those at the elite who are taking big risks, but there are also those who go their whole life with out serious back problems. In fact they have healthier backs than anyone there age! 1.) I was definitely under-training. There may be those of you who don’t have the time to lift every day but some of you would do anything to improve strength, size, or improve Olympic lift numbers. For those that want to invest the time or just temporarily experiment, this is a great program, which will allow you to truly improve your strength and size. In the past I had tried various squat programs like the Smolov which had lots of volume and scheduled off days. These programs worked very well but there were times were I aggravated my knee and hip. I honestly believe it was the off days that created this. During off days you can lose the mobility you create during training. This program allows you to autoregulate at any moment and emphasizes quality over quantity and intensity. With this program I was always prepared to squat and remained healthy. Of course anyone starting this program better be able to squat well. Adding strength to poor technique will eventually result in injury. 2.) Your level of stiffness may indicate how well you may perform on a given day. When you squat daily you rarely ever get a sore muscle, however you may feel tight or stiff on days following strong performances. You should have a decent indication of this during warm ups with the bar or the first few sets with light weight. On days you warm up quickly, you will be much more likely to set PR performances. There will be some days, especially in the beginning where it may take you a while to achieve a solid full range of motion squat. These are the days even sitting down in a chair is a chore, but working through these times will certainly pay off in the long run. Sometimes I squatted twice in a day. If I felt excessively tight in the early session, I backed off and selected weights that were quick. The second session was always much better and I set most PR’s during days I could get two sessions in. How you feel can definitely be a lie in the first session of a given day. 3.) You may be surprised how easy back off sets will feel after heavy singles. In the past after I performed heavy singles I was done for the day. John recommended performing much more volume after my singles. Maybe it was a potentiation like effect or just increased neural drive however either way I was surprised by how much weight and volume I could perform after heavy singles or doubles. 4.) Pay attention to the time under tension and select the proper weight for heavy singles. When you select your max for any given day, you must have a feel for how 70-80% is feeling. Your single for the day should not be a slow grind it out attempt unless it’s a huge PR but even then you should still have solid technique. On days I set personal records I noticed the bar was really moving. John occasionally will time some of his lifters during squats and I think this is a great way to autoregulate if you have a training partner. If your partner notices your squats with 80% are faster than normal then it may be a good day to attempt a personal record. 6.) Progress can come fast. At the start of the program my max back squat was 170kilos and after a few months I was performing sets of 5 with 170k and performing singles weekly with 190k. My Olympic lifts made a lot of progress as well. I went from snatching 232lbs to snatching 257lbs. My clean and jerk moved from 292lbs to 308lbs. This style of training allowed me to qualify for Sr. Nationals for the very first time in my weight class. 9.) I would never have new athletes who are training for sports train like this. I would also never have athletes who have specialized in another sport train like this. The program is very specialized for those who want a bigger squat and added size. Being great at the basics and focusing on sport specific skills is much more important for athletes. Some strength coaches I know, such as Mike Boyle, don’t even have squats in their program and still get great results! 10.) Experience and age are a huge factor in entering a program like this. The younger you are, the much more likely you are to benefit from the program. Young athletes can probably add 2-300lbs on top of their current squat in a couple years, especially when coached. 11.) There are plenty of Olympic lift programs that will also bring success, but I feel most of them are too easy on beginners. Most beginners don’t need to rely heavily on percentages! What are they taking a percentage of exactly? Their max can jump 10 kilos per week! Training can be more complicated when you are an international level competitor but until then most of us underestimate what we are capable of. Matt Delaney is a strength and conditioning coach for the non-profit Inner City Weightlifting, which focuses on making an impact with inner city youth through fitness. The post Observations from Squatting Daily appeared first on Bret Contreras. The post Are Unweighted Curls Legit? & More Questions with Bret Contreras appeared first on Bret Contreras. The post 6 Upper Body Landmine Exercises – Ben Bruno appeared first on Bret Contreras.